It’s Spring! It’s winter! It’s Spring! After a few days of 65+ weather it snowed last night. As in a real wind howling, 3″ to scrape off the car this morning storm. It’s now 28F and looks like the weekend will be cold and dreary as well. I suppose that’s ‘normal’ for Utah but I do miss actual spring time weather that we got back home. It’s been a trying winter with Dad being diagnosed with atypical Parkinson’s on top of everything else and then being hospitalized for two weeks after an extreme reaction to his Parkinson’s medication. He gave us all a real scare, including himself. Unfortunately, the reaction was psychological as well as physical and he was in his own, very literal, version of hell for quite a while. I’m so grateful that things have evened out and back home now. 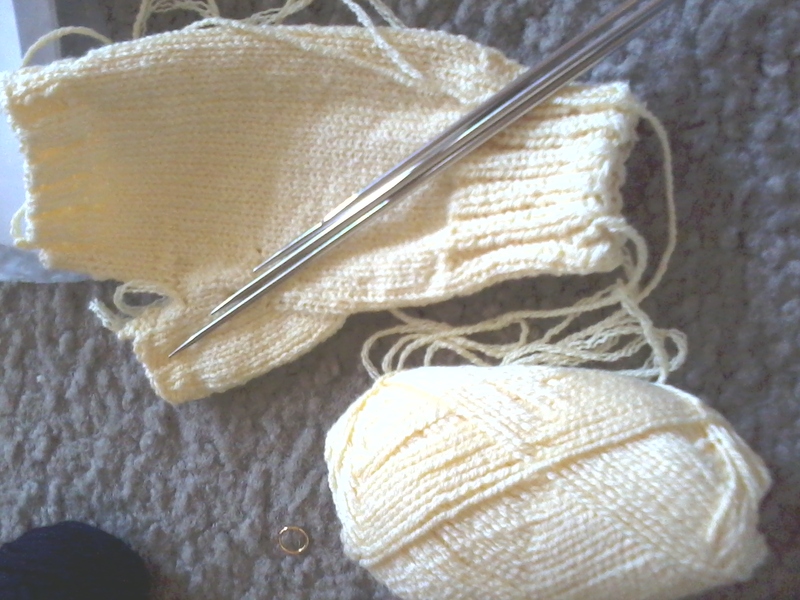 I started a pair of socks for him ages ago but have had an irrational fear that when I finish them he will die. Yes, it is completely absurd and I realize that, but working on them when he’s been doing so poorly has made me burst into tears. 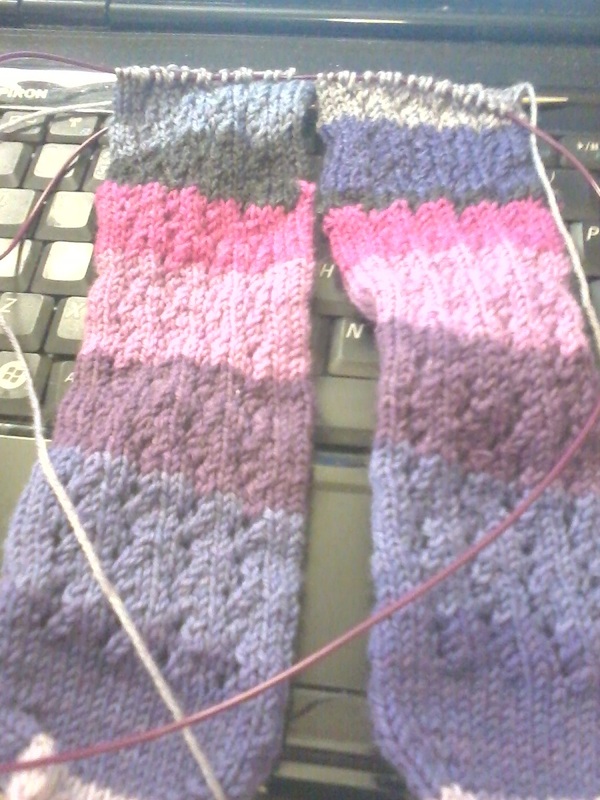 It’s difficult to work cables when you’re crying so I’ve put them down for a while now. Perhaps now that he is doing better (although that is a relative term) I can pick them up again soon. 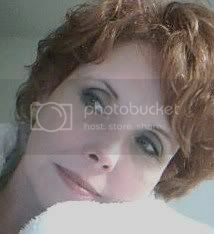 Although my main concern has been Dad’s health and well-being, I’ve also been terribly concerned about Mom. They’ve been married literally all of her adult life and she’s having to face ‘the beginning of the end’ as she put it. Due to some technical issues at work, I’ve been off for two weeks now. Being a contract worker that means two weeks unpaid ‘vacation’ – too bad I didn’t know this was going to happen; I can think of far better ways to spend two weeks off than checking emails every 20 minutes or so to see if it’s been resolved yet. Fortunately, I’d been averaging 50 or more hours per week last month and have some unemployment benefits left from ‘last time’ so have been okay financially so far. I’ve been looking for something more stable but the job market isn’t all that friendly with large numbers of far younger/less experienced (perceived costly) people competing for every opening. Hopefully, it will be resolved in a few days though. I’m sure our tech support people are also hoping it’s resolved soon as they must be tired of my daily ‘are we there yet’ emails! So… what have I been doing with all this time? I’ve finished three pairs of socks, nearly finished a cardigan, spent hours and hours looking at new patterns and going through my yarn stash, read blogs, spent a lot of time on the phone with Mom and taken a couple quick weekend vacations with WRT. lace tube socks for Cierra using KnitPicks Felicia Sugared Violets and OnLine Supersocke 100 Emotion IV. 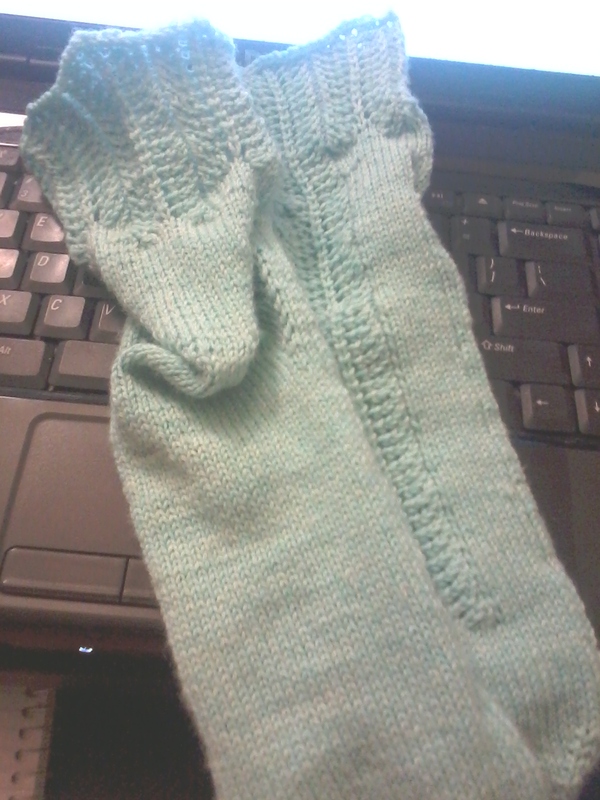 lace tube socks for Briley using KnitPicks Felici macaroon and KnitPicks Stroll Glacier. Basic socks using Susan Glinert’s Fleegle Heel and a fern stitch (one variation of it anyway) lace up the center instep them around after the heel turn. I really like the Fleegle Heel’s fit and how comfy it is. I’ve also got one of my dear friend, Clara’s fingerless gloves (Jessica Power’s pattern) done and hope to get the match done over the weekend. They’re in Crystal Palace Panda Cotton solid, a nice lightweight yarn that won’t be too warm but should keep her hands cozy while working. She’s often mentioned how cold her hands get in her home office (she also works in corporate travel from home) so thought these might work well. And… last but certainly not least…. 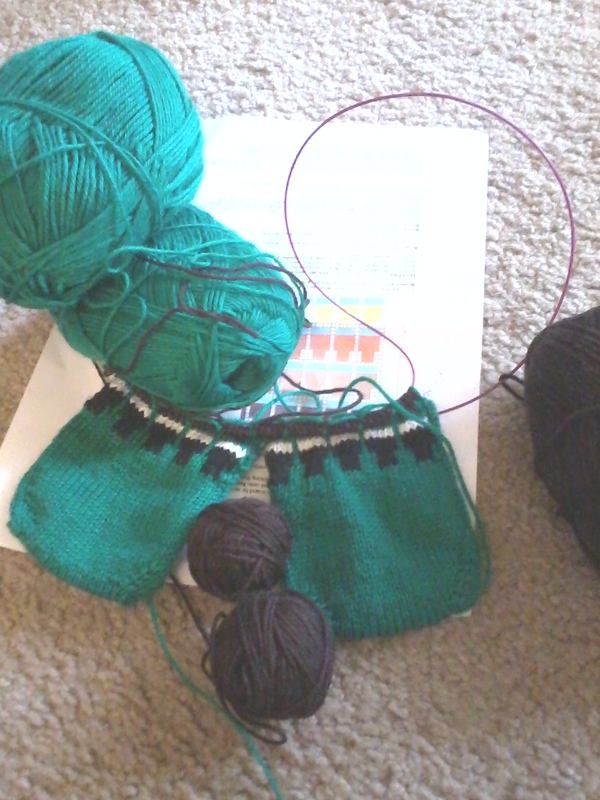 doing a toe-up pair of SpillyJane’s Socks With Pints On for WRT. I promised them at least two years ago so thought it was time to deliver. SpillyJane is an extremely talented designer and I hope to make several of her patterns up soon. 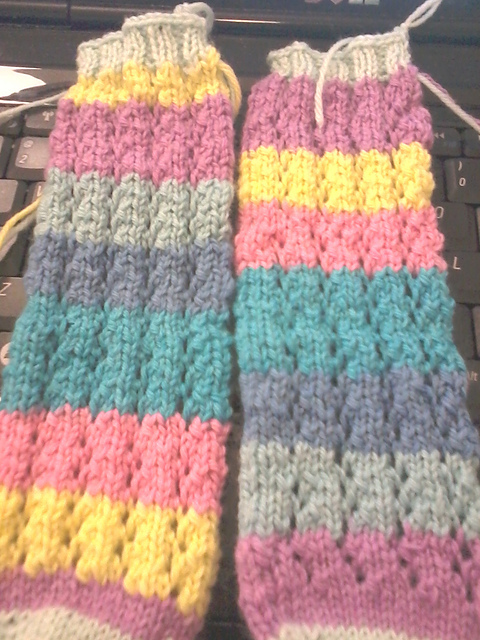 They’re a bit further along now (have three sets of different ‘beer’ colors done now) in KnitPicks Stroll. At the moment, I’m truly not sure what our relationship holds but he’s certainly deserving of a pair of fun socks regardless of how things play out over the next while. Mom would like me to knit her a warm cardigan for next winter so I’ve been going over possibilities. She rarely wears her winter coat but definitely needs something that will act as a coat without the length (I got my love of full-length coats from her, it seems!) and not quite so bulky. It must be washable and can’t be overly fussy but needs to be pretty. Cables? Lace? Lace and cables? Raglan or set-in? Top down, bottom up? So many choices!!!!! I’ve also been going over baby blanket patterns as we’re expecting a little girl within the extended family. Again – lace? cables? both? neither? round? Square? Rectangular? Obviously, it must be machine washable/dryable and exceptionally pretty but… which pattern/yarn????? I’ve got it narrowed down to 12 possibilities, yes 12. Good thing she won’t be here until early fall! This entry was posted in Knitting, Life and it's Stuff and tagged Fleegle heel, hand knit socks, Knit Picks Felici, Socks With Pints On, Spilly Jane, SpillyJane, toe up socks. Bookmark the permalink.